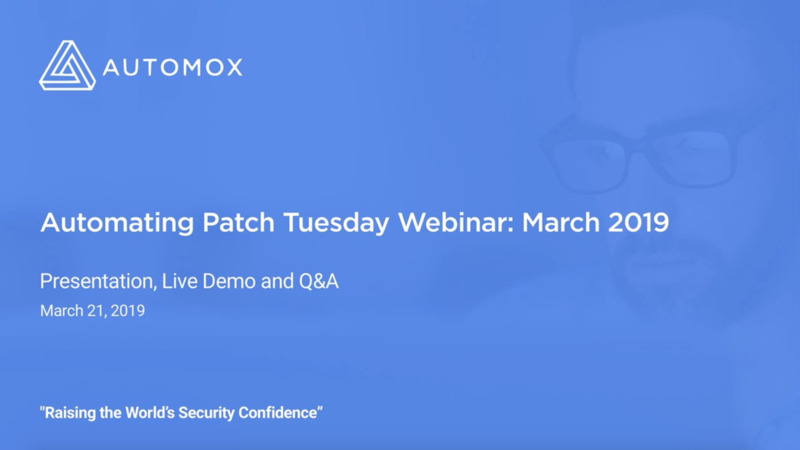 This webinar recording is for Windows administrators who want to learn more about the latest Microsoft Patch Tuesday security patches and learn tips for automatically protecting your infrastructure from those vulnerabilities. March’s Patch Tuesday release includes 1440 distinct patches for over 60 different vulnerabilities, with 19 of these vulnerabilities deemed critical. Automox is a cloud-based patch management and endpoint protection platform that provides the foundation for a strong security framework by automating the fundamentals of security hygiene to reduce a company’s attack surface by over 80 percent. A powerful set of user-defined controls enables IT managers to filter and report on the vulnerability status of their infrastructure and intuitively manage cross-platform OS patching, third party patching, software deployment, and configuration management.